Mozilla’s Firefox Test Pilot experimental program is extending to mobile today with the announcement of two new mobile apps for willing users to try out: Lockbox for iOS and Notes for Android. 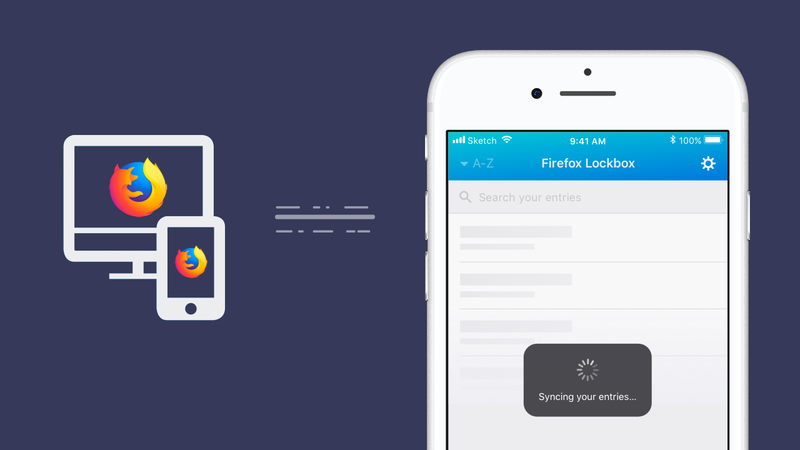 The more notable of the two, Lockbox, is a self-contained iOS password manager that works using your Firefox credentials. Any password and ID that’s stored in your browser, such as those for logging in to Twitter or Instagram, for example, is automatically synced to Lockbox, which allows you to then log in to corresponding iOS apps directly. You’ll be able to use Touch ID and Face ID to unlock the app, and Mozilla is using 256-bit encryption to sync your passwords. Notes for Android works pretty much like Google Keep. It syncs your notes from the Firefox browser to a mobile app and vice versa. Both of these additions are still very much in the testing phase — Mozilla even calls them “experiments” — but they demonstrate how the company is working to expand its footprint beyond the traditional desktop browser space.